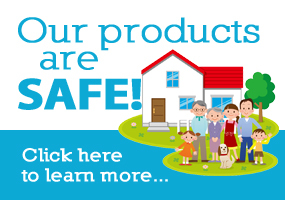 While our products are very effective in killing ticks and mosquitos there are certain things that that homeowners can do to help us help you. Any complete tick and mosquito prevention program wouldn’t be complete without you, the homeowner, helping to reduce the population of ticks and mosquitos in your yard. Remove leafy debris and any grass clippings to limit tick habitat. Reduce standing water to eliminate mosquito breeding areas. Tip over flower pots and children’s toys and empty anything else that holds water. Remember to check your email periodically for our notice that we are coming to treat your yard and after service for out email indicating your service was completed. Recommend Backyard Bug Patrol to your friends. 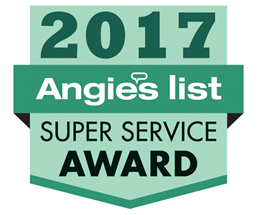 When your neighbors use our service, it helps your yard too! Who hasn’t been bitten by a mosquito? These annoying blood suckers leave itchy welts all over your body. But mosquitos are more than just an annoyance; they are responsible for more human fatalities than any other living creature – over a million deaths worldwide every year. In the United States alone, mosquitoes cause West Nile Virus, Heart Worm in dogs and Eastern Equine Encephalitis, not to mention several cases each year of Malaria and Dengue Fever. Mosquitoes are especially prevalent here in the DC metro area; according to the Centers for Disease Control, almost 10% of all deaths in the U.S. from West Nile Virus in 2010 occurred in Virginia and Maryland! Learn more about these potentially dangerous insects, as well as some easy mosquito control & reduction ideas and advice to make your yard more hospitable. Time to mosquito proof your yard. There are over 150 different types of mosquito in the U.S. 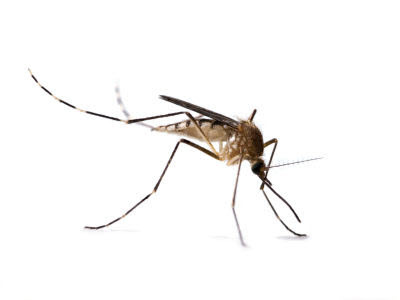 Most mosquitoes generally stay within 1 to 3 miles of where they were born; the Asian Tiger mosquito does not stray more than 300 yards from its birth place. Mosquitoes don’t “eat” your blood. The females bite, and use the protein in your blood to lay their eggs. One mosquito can be responsible for up to one billion offspring in as little as one month (assuming they all survive!). Mosquitoes need water to lay their eggs, but interestingly, it doesn’t have to be fresh water. Mosquitoes can lay their eggs in salt marshes and brackish pools too, and they only need a cap full of water to lay their eggs. Most mosquitoes will bite heavily at dawn and at dusk. Typically during the heat of the day, they rest in a cool place, like on the underside of leaves, and wait for the cooler evenings, although they may still bite if disturbed. Some species, like the Asian Tiger mosquito, are known to fly and bite during the daytime. These are the nasty striped buggers commonly found throughout Maryland and Virginia. Once the temperature reaches 50 degrees Fahrenheit, mosquitoes become active. They are most active when the temperature reaches 80. Carbon dioxide can attract mosquitoes from as far away as 35 feet, and wearing dark clothing attracts more mosquitoes than wearing light colored clothing. Having a party in the yard? Strangely enough, people drinking beer attract more mosquitoes than those not drinking. There are a number of steps you can take to make your yard more habitable for your family, friends and pets. John Mitchell, founder of Backyard Bug Patrol, outlines eight top mosquito-proofing tips. Tip over any standing water in the yard (in kid’s toys, flower pots, kiddie pools, trash cans, and so on), so that mosquitoes have nowhere to lay their eggs. Fill any open knots and holes in trees or ditches that hold water with sand or concrete. Remember, mosquitoes just need a cap full of water to lay eggs. Drain bird baths weekly. Or better yet, don’t fill them with water. Repair or replace ripped window screens. Wear light colored clothing and make sure you cover yourself as completely as possible. Add flowers. Flowers will help attract friendly bugs such as dragonflies, as well as birds – both of which eat mosquitoes. Add a birdhouse. Not only are birds beautiful to watch, they eat mosquitoes. More birds equal fewer mosquitoes. 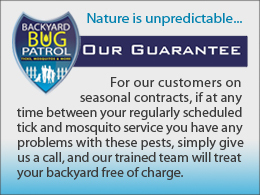 Hire a mosquito pest control professional. Yes, your yard can be treated for mosquitos. Make sure when you’re shopping for a pest control specialist that they specialize in mosquito reduction. Nature, if you look hard enough, usually comes up with answers to problems. Who likes mosquitos? No one wants them in their backyard. There are a number of plants that have been known to ward off mosquitos. Not only have these plants proven effective at shooing the skeeters but they will enhance any flowerbed or garden. In addition to professionally applied barrier sprays that kill mosquitos, plants can add an extra natural barrier and provide mosquito protection for any yard. Plants are great for that extra helping boost to mosquito mitigation in your yard but is certainly not complete mosquito control plan without a yard spray program. Basil: Fresh basil in your garden, it’s not just for a wonderful tomato mozzarella salad. Horsemint: Horsemint smells like citronella and grows wild in most of the US. It has natural fungicidal and bacterial killing properties in addition to being a natural mosquito repellant.